Exit Dojo, do a 180 degree turn and run straight to the path, turn right and follow around keeping right at the fork back towards the lake. Run around the lake keeping it on your left, turn right towards amphitheater. 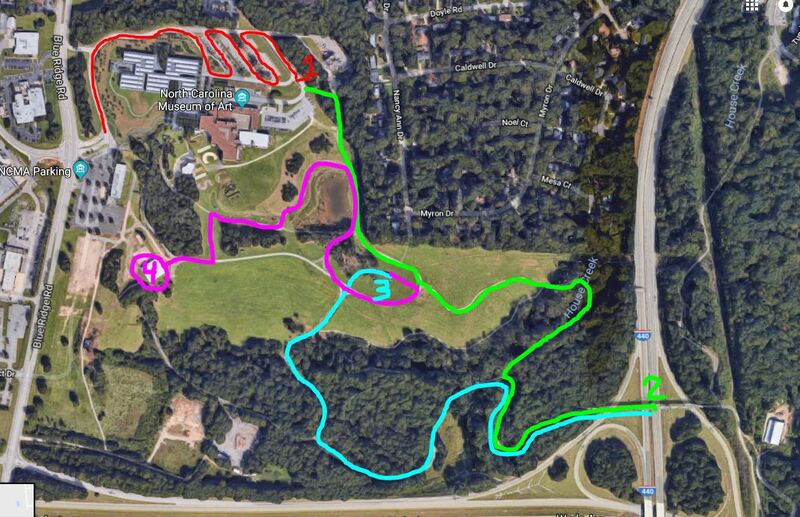 Run up the hill on the left just before the amphitheater and turn right on the path finishing at the Ellipse.